Reagent for performing quality control of flow cytometers used for DNA staining, when using excitation by a UV light source and measuring in the blue fluorescence channel. DNA Control UV consists of fixed and fluorescently labelled red blood cells from trout. The material is characterized by the homogeneous fluorescent staining of cell nuclei. 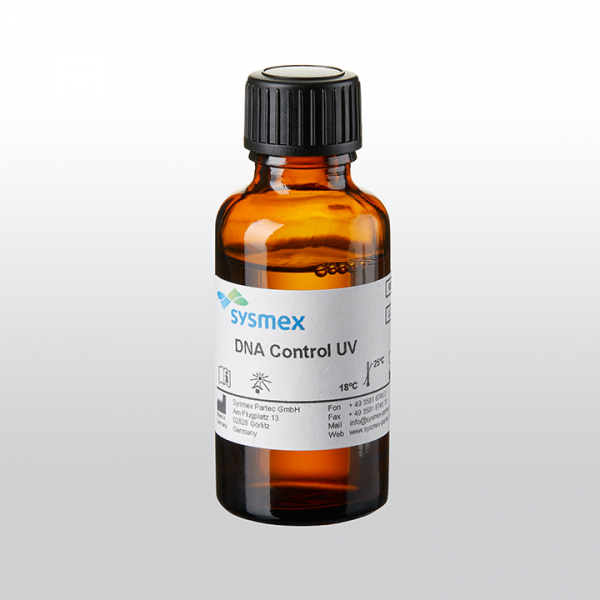 DNA Control UV is well suited for alignment of the instrument and to set up and validate the device for high analysis resolution and signal linearity.